Our Garlic Olive Oil is made with Certified Ultra Premium Extra Virgin Olive Oil. It’s the garlic lover’s delight! 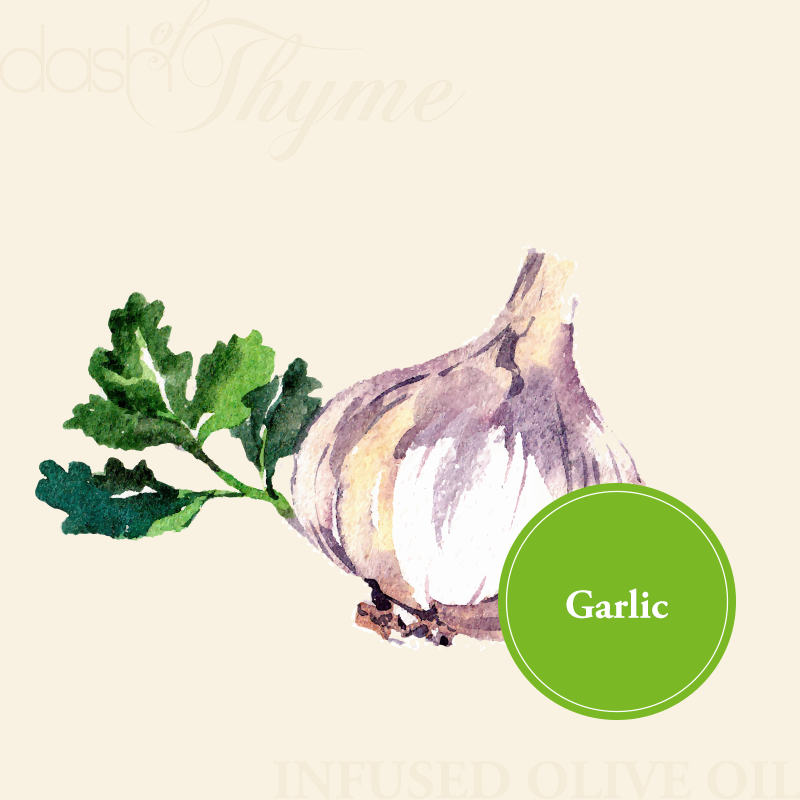 This hearty, healthy olive oil is redolent with the pungent flavor of fresh garlic. Its versatility knows no bounds. Use for sautéing, roasting, grilling, drizzling on salads, vegetables, in marinades, with poultry, seafood, pork, dressings, and baked foods.